In 1930s Poland these words were revealed by Our Lord to a simple, uneducated Polish nun of the congregation of Our Lady of Mercy. 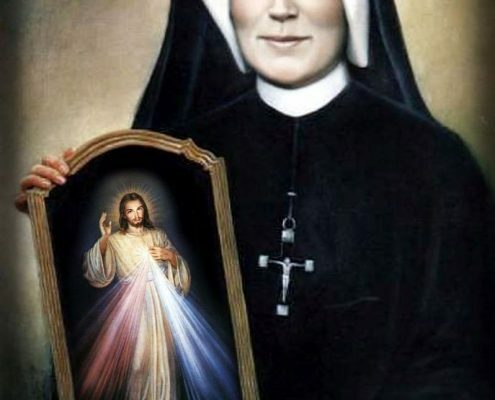 The message of Divine Mercy as revealed to St. Faustina Kowalska was nothing new; the Church has always believed that God is infinitely merciful and forgiving and that we too must show mercy in our lives. 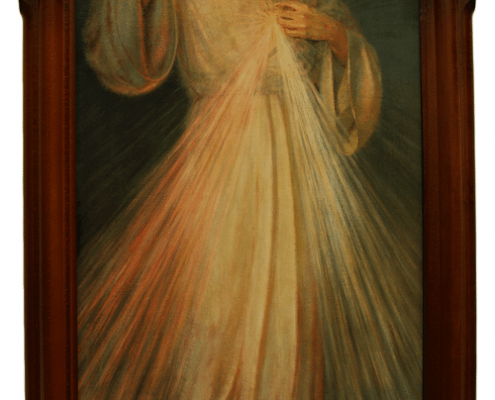 But what strikes me about the message of Divine Mercy is how much the world needed a reminder of that fact having come through the Great War and with what was to come a short time later in the Second World War. It also strikes me how much we still need a reminder of this in the world we live in today. 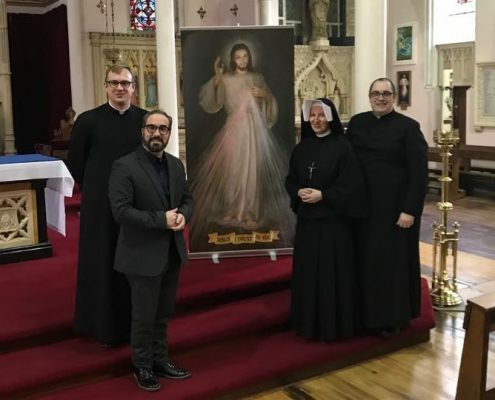 We were fortunate in Wales, and in our diocese, to have benefited from a visit by two sisters from St. Faustina’s congregation. On Monday 26th February 2018 two sisters from the Divine Mercy Sanctuary in Krakow visited the dicoese as a part of a Mission of Mercy within Wales. Sr. Teresa and Sr. Maria Vianneya visited the parishes of St. Mary of the Angels, Canton, St. Teilo’s Whitchurch and my own parish of All Saints, Newport. 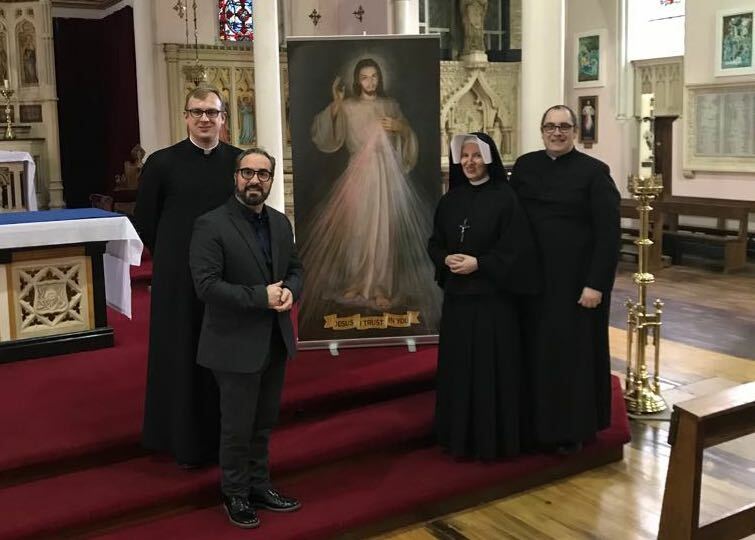 They brought with them the message of Divine Mercy, explaining the origins of the message and devotion, the profound impact the visions of the Merciful Jesus had on the life of St. Faustina, and the simple and beautiful message that God’s mercy is unending and accessible to all, especially the most hardened of sinners. 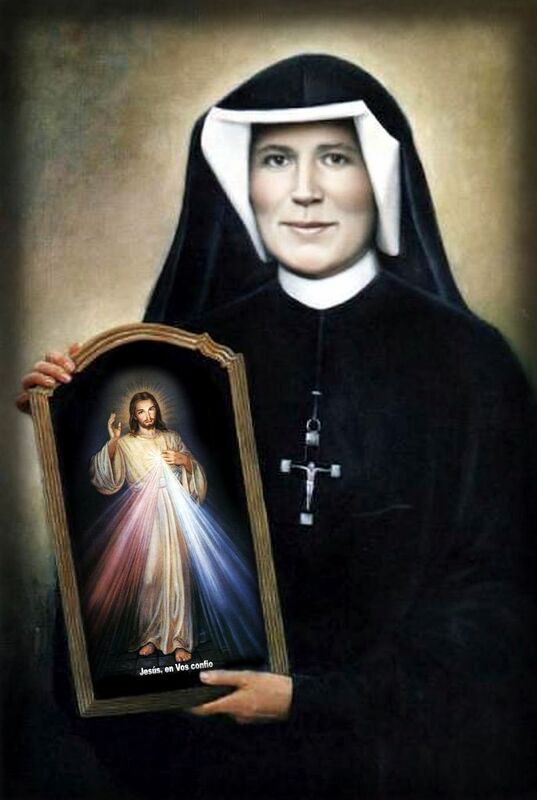 St. Faustina began receiving the message of Divine Mercy on Sunday 22nd February 1931. She compiled a diary of approximately 600 pages recording the revelations she received about God’s mercy. 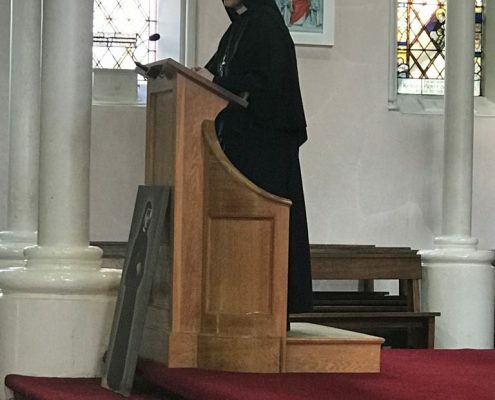 As Sr. Maria Vianneya told the people of Newport, “(The Diary) is not a book to be read from cover to cover …. that is difficult, if not impossible and I would find that difficult. It is a book of messages from the Merciful Jesus which we turn to when we need him, when we feel alone, when we need to know he is with us”. 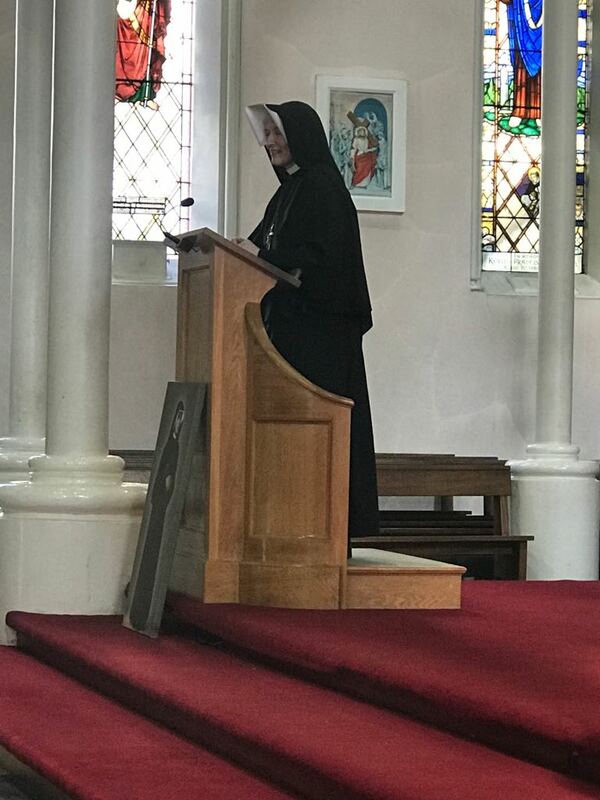 The sisters delivered a number of moving talks within our parishes, speaking directly from the heart and with great simplicity. They opened up the message contained within the Diary and from the numerous conversations I have had with people who attended the talks, they touched a number of people who had gathered to hear them speak. Throughout their visit our parishes made the Sacrament of God’s Mercy i.e. the Sacrament of Reconciliation available to those who came and offered periods of prayer in honour of the Merciful Jesus. A — Ask for His Mercy. God wants us to approach Him in prayer, repenting of our sins and asking Him to pour His mercy out upon us and upon the whole world. 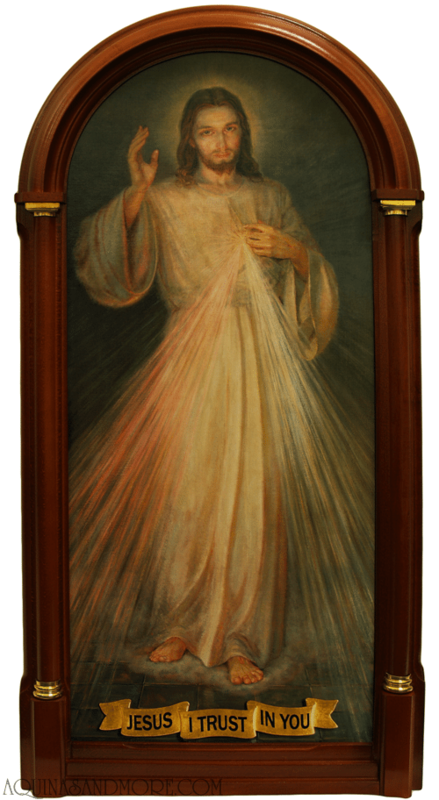 The Divine Mercy Chaplet is a springboard to help us ask. C — Completely trust in Jesus. God wants us to know that the graces of His mercy are dependent upon our trust. The more we trust in Jesus, the more we will receive. He lavishes His mercy upon us, trust in Him and welcome the great grace of Divine Mercy in your heart. “Jesus, I trust in you”. The message of Divine Mercy is nothing new, it is simple and yet very powerful. The fruits of the Mission the sisters undertook in Wales and within our own parishes here in this diocese are already starting to show. I am also reminded of the diocesan pilgrimage to Krakow for World Youth Day (WYD) in 2016 when we took our 40 or so young people to visit the Divine Mercy Sanctuary. I know that visit was one of the highlights of the WYD experience for them and had an impact on some of their lives. My hope and my prayer as we approach the Feat of Mercy is that the fountain of God’s Mercy will be more widely experienced within our diocese and that the most hardened of souls may experience the power of the Merciful Jesus within their lives as they turn to him and say “Jesus, I trust in you”. Funeral Arrangements – Fr. Jimmy Thomas R.I.P. Today is Palm Sunday – This is Holy Week!